2012 is almost over, but I’m ready for the awesomeness that is to come with 2013! I am looking forward to all the wonderful new books that will be released in the New Year. While I didn’t get to read as much in 2012, I wanted to share the books that I did read and enjoyed this year. Here’s my list! 1. Easy by Tammara Webber - Easy has been out for a while now, but it's a book I didn't hear about until recently. I decided to read it right away, and I am SO glad that I did. I loved the story, and the characters, especially Lucas. He has earned a top stop on my most swoon-worthy guys list. Hmmmmm. This is a book that I will definitely re-read over and over again. 2. 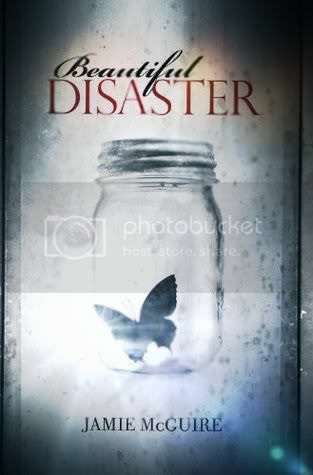 Beautiful Disaster by Jamie McGuire - While I had some issues with Beautiful Disaster, I still adored the book. It's a book that stuck with me long after I read it, and that doesn't happen very often. Travis was such an interesting character, and I can't wait to read his story in Walking Disaster, out in 2013. 3. Pushing the Limits by Katie McGary - I read Pushing the Limits because I had heard that it was similar to Beautiful Disaster. While it was similar in some aspects, it was unique enough to to be different. This was a very enjoyable read for me. 4. 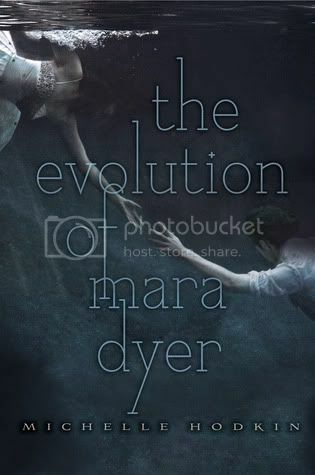 The Evolution of Mara Dyer by Michelle Hodkin - Michelle Hodkin never ceases to amaze me with her writing, and I can't get enough of the Mara Dyer series. The ending of this book left me speechless, and dying to get my hands on the next book. Not too much longer now! 5. 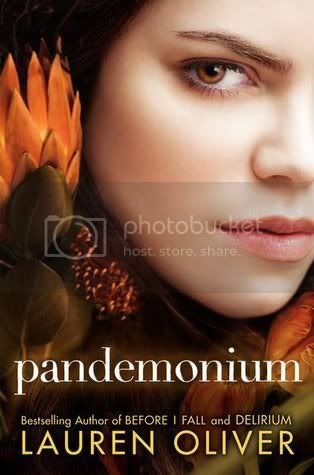 Pandemonium by Lauren Oliver - Lauren Oliver is one of my most favorite writers of all time. Her writing is absolutely amazing. She definitely left me hanging at the end of Pandemonium, and I can't wait to get my hands on Requiem! 6. 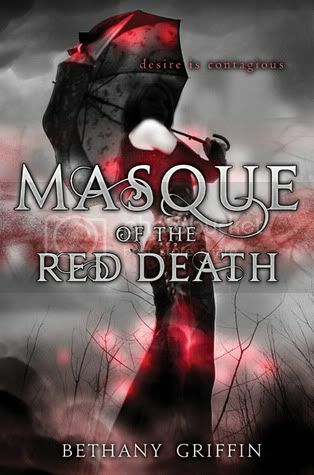 Masque of the Red Death by Bethany Griffin - This book was recommended to me by Kathy at A Glass of Wine, and I am SO glad that I read it! It was definitely unique, and so different than any book I had read up to that point. The characters we all flawed and fascinating. I'm eagerly awaiting the next book in this series. 7. Spell Bound by Rachel Hawkins - I really love the Hex Hall series, and was so sad to see it come to an end. (Thank goodness for the spin-off series!) I have laughed so much while reading this series, and I love when that happens. I can't wait to read more by Ms. Hawkins. 8. 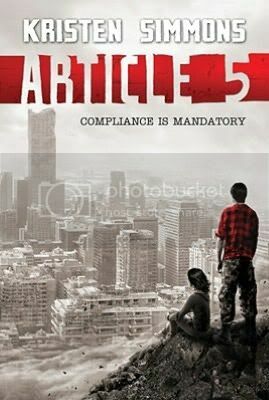 Article 5 by Kristen Simmons - This book was one of the more realistic dystopian books that I have read so far. It really made me stop and think, I could definitely see this happening in real life. I'm dying to get my hands on Breaking Point to see what's going to happen next. 9. 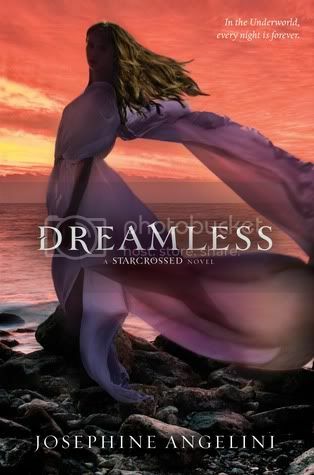 Dreamless by Josephine Angelini - Ms. Angelini is another of my most favorite authors ever. In Dreamless, she once again drew me into the world she created and left me completely speechless. Poor Helen, the girl went through so much in this book. I can't wait to find out what happens in Goddess! 10. 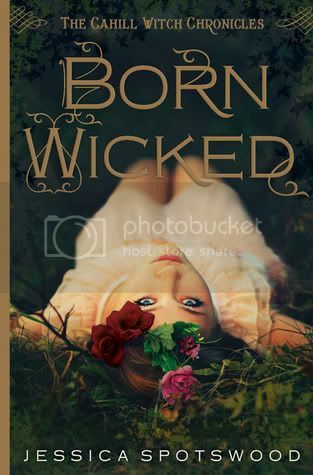 Born Wicked by Jessica Spotswood - This is another book that was introduced to me by Kathy at A Glass of Wine. It is another book that was unique enough to really stand out for me as well. The storyline was great, and I'm practically in love with Finn. Bring on the books of 2013!!! Please leave a link to your favorite list if you have one as well! Ohhhhhhh! I am SO excited to get my hands on this book! I really enjoyed reading Pushing the Limits earlier this year.I can't wait to dive back into the series and see how Beth's story is going to go. If you haven't checked out this series yet, I definitely recommend it! Yay! Another cover that I missed during my absence. Isn't it gorgeous? 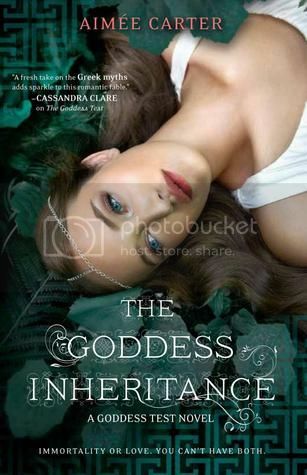 I knew I had to read The Goddess Inheritance as soon as I got my hands on it, especially after that killer cliffhanger ending in The Goddess Interrupted. I found the book to be a great ending to a wonderful series! Kate is a character that I will never get tired of reading about. She has such a great head on her shoulders. While she does have a bit of a martyr complex, she does genuinely care about the people around her, especially her little family. She is willing to do anything to protect them. There were some times in the book when I was beginning to wonder if she was going to give up, but thankfully she pulled it back together and returned to the normal headstrong Kate that I know and love. I have loved Henry every since I first started this series. The more I read of him, the more I love him. He grows from such a lonely man, to a loving, caring husband to Kate. Henry is definitely on the list of my favorite guys of all time. We see quite a good bit of the secondary characters as well in this novel, though not really in the same aspect that we have seen them in the previous books. They all have a very serious demeanor that goes along with the feeling of impending doom that they face. It was really interesting seeing this different side of them. Overall, I love this series. If, by chance, you haven’t read this series yet, I definitely recommend that you do. It is so great, and definitely worth the read. Thank you Harlequin Teen for allowing me to read and review this advance copy! My life is now complete. YAY! 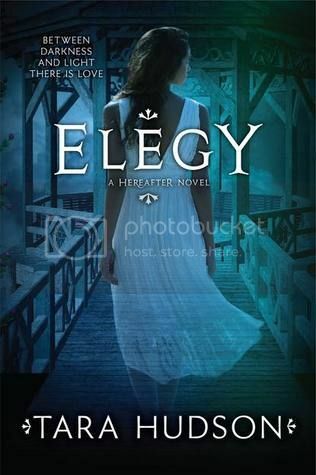 This is the first that I've seen of the cover for Elegy! I love it, of course. 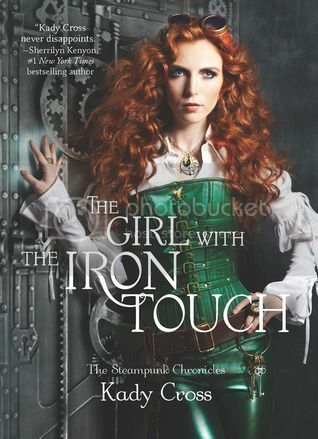 This is such a good series, and I really enjoy Ms. Hudson's writing. I can't wait to dive back into the series, especially after the cliffhanger ending in Arise! GAH! But things are starting to look up! 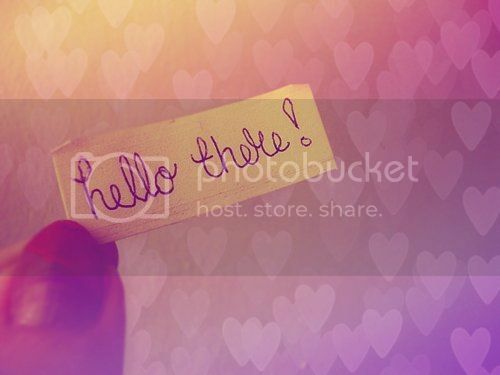 I can't wait to get back into reading and blogging, my most favorite things EVER! So I will 'see' you guys around!